True Lemon tase like the real thing. If you want to enjoy the taste of fresh citrus with the convenience of a package, then you are going to love the products from True Lemon that I got to review. True Citrus is an amazing line of 100% natural, cold-pressed and crystallized citrus for everything from cooking and baking to flavoring up plain water into something refreshing and special to packaged lemonades, or shakers of citrus flavor to enhance your recipes. A good place to start is with my Favorite Lemon Meringue Pie recipe as a prime example. I was sent everything they make from their original product, True Lemon for Cooking, Baking & Beverages made from real citrus and now their True Lime and True Orange to also be used in the same way. In addition, they have True Lemon for Your Water, True Orange for Your Water that gives plain water an extra refreshing burst of citrus. Also, they have True Lemon Lemonade, True Lemon Raspberry Lemonade made with the natural sweetener, Stevia, which had the perfect combination of tartness to sweetness while the Raspberry Lemonade had a nice fruity overtone that I savored at dinnertime. I also tried out their True Lime Crystallized Lime Shaker and True Lemon Crystallized Lemon Shaker for sprinkling on toppings, fish, salads, and my bean spreads so far, but I keep experimenting with this delightful product. 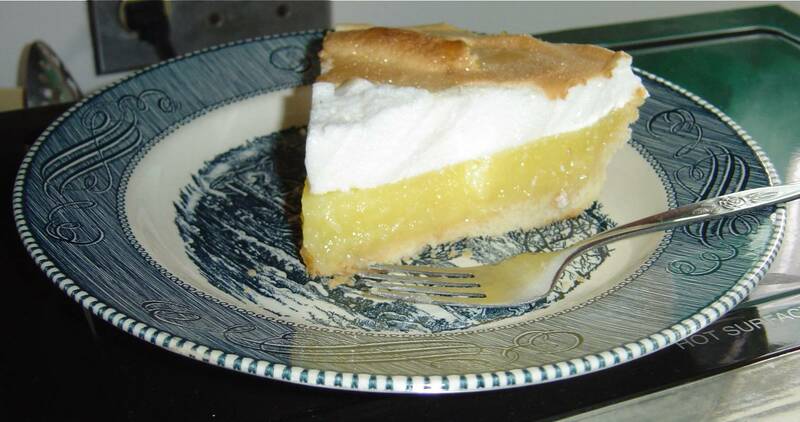 I decided to see how True Lemon would compare to fresh lemon for my Lemon Meringue Pie. I started with my favorite oil pie crust that I shared with you in another post. This is the only pie crust recipe I ever make for simplicity and flakiness. Trust me, but this one always turns out even if you never made pie crust before! Before you begin, take your eggs out of the refrigerator and allow to remain at room temperature for a few minutes first. They will separate easily this way. Never try cracking them straight out of the refrigerator unless you want trouble from those yolks escaping into the whites. This pie tasted just as delicious with their product. I made another with True Lime and it also was yummy. The only thing was if you want it to look green, you need to add a few drops of food coloring. I don’t use food coloring so my lime pie looked yellow from the yolks instead of green. Mix your 1/4 cup of water with your 8 packets of True Lemon for Cooking, Baking & Beverages until combined. Add that True Lemon and water mixture to your pot with the sugar, cornstarch, water and yolks. Use your whisk to beat in your pot before cooking until bubbly and thick. Pour into your pre-baked pie shell and top with meringue. Add you salt to your egg whites and beat with your electric mixer until it starts to get fluffy. Gradually add your sugar. Continue beating until the sugar is all added, then finish with your vanilla. 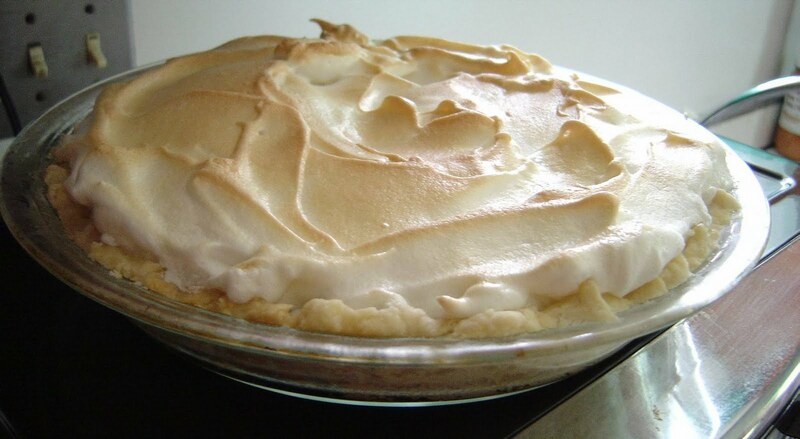 Pour your meringue over your filled pie shell and bake at 400 for approximately 10 minutes or until lightly browned. Here is the pie before being cut. I honestly love True Lemon and their entire line of products. They’re handy and so much like fresh only in package form! True Lemon knows once you experience their products you will be convinced also. They will give you a free sample if you email them at customercare@truelemon.com with your mailing address and mention you heard about them here. 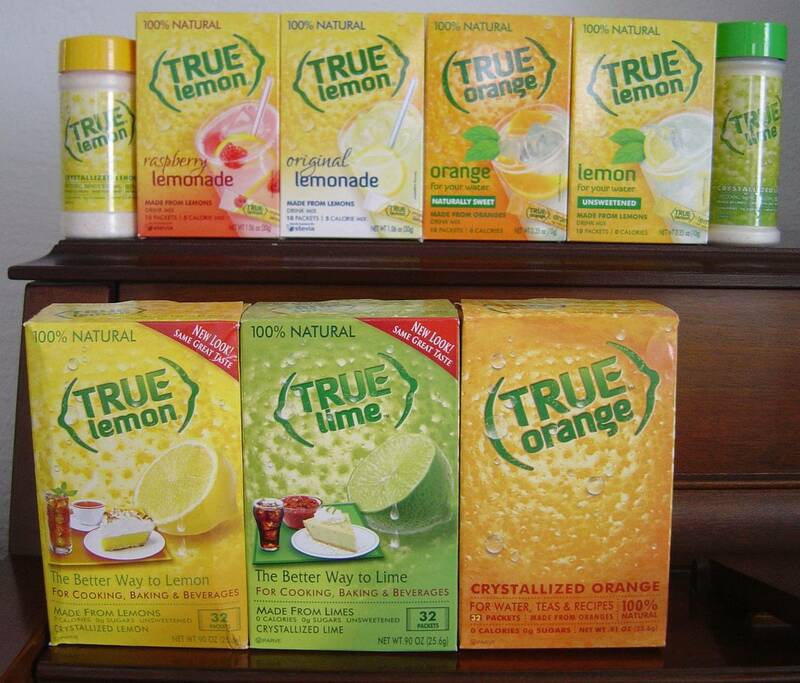 You will get two packets of True Lemon, True Lime and True Orange and a stick packet of True Lemonade with a coupon.